The Big Idea: Caring for kids’ teeth is part of keeping their whole bodies healthy and strong. Brush at least twice a day—after breakfast and before bed. Take turns! Preschoolers are still developing the muscles and skills to brush on their own. Help kids brush. Then, ask them to take the lead and imitate your actions. Brush in tiny, gentle circles. Make sure to get the front, back, top, and bottom. Make it fun! Kids should brush for about two minutes. Sing the alphabet song to keep track of time. Fill kids’ diets with “anytime foods.” These include fresh fruits and vegetables and low-fat cheese. Drink water; it’s good for teeth and bodies! Brush or rinse after a snack, and space meals and snacks to give kids’ mouths a chance to wash away food. Ask the doctor or nurse to look at kids’ teeth and gums at their next visit. 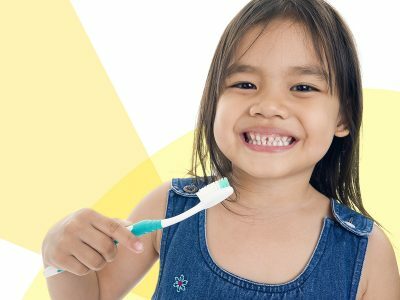 Let kids see you take care of your own teeth by modeling good brushing and eating habits.